Succumb to the charm of Kota Kinabalu and start your paradise living in one of the most stunning and thriving cities in Malaysia. KK is home to 500,000 plus inhabitants and is a cultural melting pot of many ethnicities and religions. Yearly, expats and tourists swarm the city due to its breath-taking landscapes making it a perfect place to meet new people from all walks of life. The city is teeming with elegant architecture like the city mosque, interesting museums, and the waterfront is lively day and night with friendly people. The newer buildings fit in seamlessly with the nature in KK which is rare to find these days. Sabah is one of Asia’s top emerging investment areas. Malaysia itself is considered a hotspot for investors due to the very reasonably priced housing. KK is underestimated due to the fact it has massive growth potential. In the Sabah state, there is a wide range of long-term residence options such as the ‘Malaysia my Second Home’ scheme where foreigners can apply for visas for up to 10 years which is attracting many expats to the area. 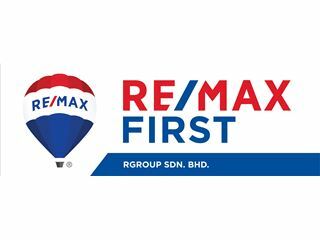 Real estate in prosperous in areas such as Sabah as they are seen as a very safe investment and wealthy investors from Singapore and Hong Kong have recognised the enormous potential in Malaysia especially in the Sabah region including KK. We’ve only seen the tip of the iceberg for what’s to come in KK. Due to its easy accessibility to other cities in Malaysia and Asia via the Kota Kinabalu International Airport, the incredible quality of life its inhabitants, a growing port and the booming economy (predominately from the oil and gas sectors) the area is rapidly developing. It’s predicted to stay like that for years to come meaning investment stability. Many properties are up for sale and for rent (at attractive prices for Western buyers) in KK including super-modern luxurious residences with limitless amenities which sell out very fast as KK is the top investor hotspot on the Borneo island due to all of its assets. Residing in KK is like being on a paradise holiday island with all the comforts of home. Residents often find themselves visiting heavenly islands and also shopping in one of the many malls. Eating delicious delicacies, watching picturesque sunsets, drinking in bars and nightclubs is all possible on KK’s majestic waterfront. Networking with expats is very easy due to the large international community which adds so much diversity to the city. It’s perfect for beach and nature lovers who want to experience living somewhere new yet still be able to make friends and interact with people. The dominant language is Malay, and Chinese is also widely spoken due to the large Chinese population. Most residents are able to speak English, especially amongst the younger generation. So getting by in daily life and communicating with locals is very easy. This is a real bonus as one can really get to know local life instead of there being a language barrier. Snorkelling, kayaking, diving, hiking through tropical rainforests and many more exploratory excursions are available in KK so one can live a healthy, active lifestyle. The sunny climate never fails to impress but to cool off, people often take a dip in the turquoise-green clear waters or take a trek up Mount Kinabalu where temperatures are much cooler. Absorbing the magnificent views from the mountain gives a chance for visitors to take in Sabah’s splendour creating an unforgettable experience. With a medley of Malaysian and Western culture, inhabitants learn about the rich Malay culture of the city and traditional flea markets while enjoying Western pleasures such comfort food, many expats and international brands in shopping malls. Taking cover from the sun and exotic climate in one of KK’s shopping malls is not a problem as there is a wide array of options catering to all budgets and tastes. Although KK is not extremely shopping-orientated (it’s not like Kuala Lumpur for example) you can find international brands and local shops in many malls. For example, the Imago Shopping Mall has plenty shops and a large food court offering lots of different foods from all over the world. The best and most famous place to shop is at the Gaya Street Sunday Market which will not disappoint. The multi-coloured, vibrant market is teeming with delightful Malaysian treats, colourful traditional and modern clothing, unique gifts/souvenirs and much much more. Visiting this place gives visitors an insight into local culture which you can’t find anywhere else in Malaysia. It’s a great spot for bargain hunters and for people wanting to purchase new and different items. The food scene in KK is delicious and varied. Due to its geographical location, there are many seafood delicacies served in the popular Hua Hin restaurant and many others. The flavoursome food consists of rice, noodle and soup dishes with vegetables, meat or/and fish. Enthusiastic food-lovers will have no problem trying each and every restaurant and quaint food stalls KK has to offer. You can also, of course, find Western food. But due to the abundance of tantalising treats and the food aromas that roam the streets, one will forget all about hotdogs. Kota Kinabalu International Airport is the second busiest in Malaysia. Many international flights fly to KK from China, Australia, Singapore, the Philippines and Indonesia. There are many flights to major cities in Malaysia provided by Malaysian Airlines and AirAsia including Kuala Lumpur, Johor Bahru and Kuching. KK is only accessible by sea via the daily ferry from Labuan which takes 3 hours. Within the city itself there a many ways to get around. The most common ways to go out and about are by bus, minibus, self-driving, taxis, by foot, and by boat. Renting a motorbike is a fun way to enjoy the city as well. There is an extensive network of highways leading to other cities in Malaysia. Educationally, there is no shortage in the ever-developing KK. There are a variety of state-owned and private-owned primary and secondary schools. There’s a wide range of higher education colleges and universities, for example, Universiti Malaysia Sabah (UMS) which is regarded as one of the most beautiful university campuses in Malaysia. There is the international school, Sayfol International School Sabahhich, which teaches the British curriculum from kindergarten all the way till A-level. Another British school is Kinabalu International School (KIS). Kinabalu Japanese School is located in KK and is one of four Japanese schools in the whole of Malaysia. The choice of education makes sure that the city will continue to be prosperous and the international variations show how multicultural KK is. 1.Mount Kinabalu World Heritage Site- Grabbing a minibus from KK and hiking the highest mountain in Malaysia is a must-do. 2.KK Waterfront- Strolling, indulging, partying or admiring the sunset is something locals, expats and tourists love to do on a warm KK evening. 3.Gaya Street Market- Soak in the local culture while shopping for unique items. 4.Sabah State Mosque- The blue and golden elegant mosque is a beautiful piece of architecture attracting many tourists each year. 5.Seatang Sunset Cruise- It’s a real must to experience a magnificent sunset while sailing on the shimmering sea. 6.Mari Mai Cultural Village- To keep the Borneo traditions alive, the picture-perfect countryside side village teaches visitors about the culture and history of Borneo in a peaceful setting away from the bustling city. 7.Tunku Abdul Rahman National Park (Manukan Island)- The biggest attraction in KK is the marvellous protected wildlife, nature and blissful islands nearby. The park is made up of 5 islands. Manukan is the most popular due to the crystalline coast and offshore, lay coral reefs perfect for diving, snorkelling, and swimming. There are resorts and restaurants on the island as well. 8.Gaya Island Trip- A boat to trip to a mini Bora-Bora-like island is easy to do from KK . Serene beaches, powdery white sands, and tall palm trees cover the stunning island. This island is also part of the National Park.